ICS might have been around since November, but it only started arriving massively on handsets in the last month. 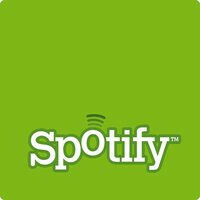 Popular music streaming service Spotify took notice and is now rolling out an update of its Android application to fully support Android 4.0 and its Holo interface. The application itself has become not only prettier, but also smoother, faster, after some user complains. That's not the end of it. We're working hard on adding further features, including folders and Last.fm scrobbling before the app goes live in Google Play. The app, though, is still in beta, and you’d need to first enable third-party sources in Android to install it. After that, you should hit the link below, where it’s now available. For those willing to wait, the updated Spotify application shoujd soon hit Google Play. I wonder if it fixes the constant force close issue whenever you are adding songs to a playlist. Does both on my Epic and my previous phone the Optimus S. No fix for the past 3 updates, is this the magic one?